Kim Kardashian is at it again with the whole winning Halloween thing! 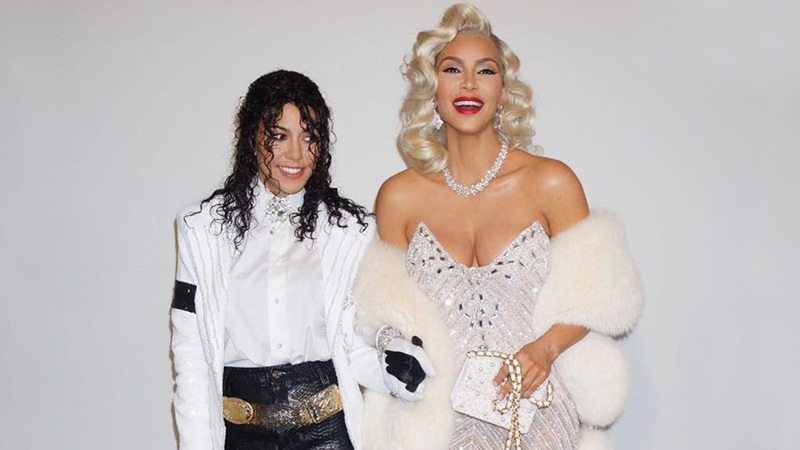 She already conquered the perfect Cher costume, but now she's back with her sister Kourtney to completely dominate as Madonna and Michael Jackson. The sisters perfectly channeled the pop icons iconic looks from the 1991 Academy Awards, and I'm forever jealous of the Kardashian Halloween game. I mean, these women DO IT UP. Do not come for a Kardashian on Halloween, you WILL be hexed.